Ray was an 'S' signing from Finlathen Boys Club. He was a Scotland schools and Under-15 player and became an Under-21 international. 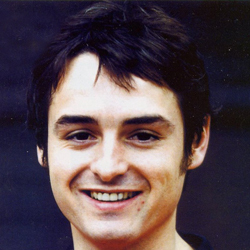 He made a breakthrough into the first team by 1989-90 and was frequently in the side over the next three years, collecting a runners-up medal in the Scottish Cup Final of 1991. In June 1992 he moved to Nottingham Forest for a fee reported to be around £750,000. 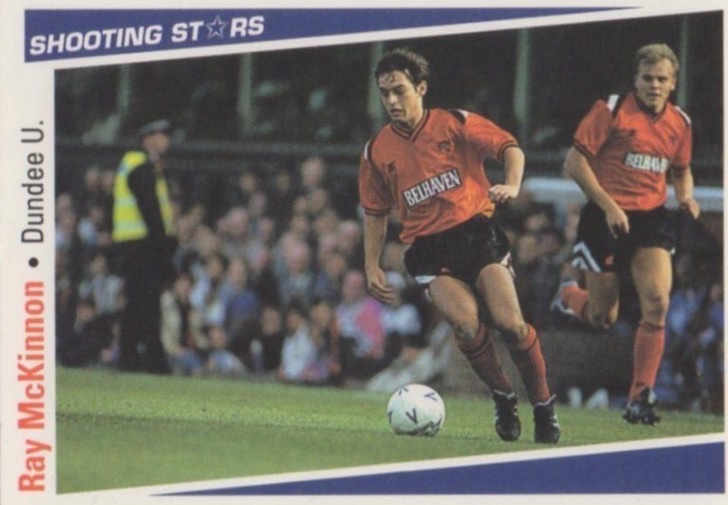 After a move to Aberdeen he returned to Tannadice in November 1995 for a reported £200,000 and helped United regain Premier League status as part of Billy Kirkwood's promotion winning side that season. He went down in United history when he netted a hat-trick of free kicks in a match against Kilmarnock on March 22, 1997. At a time when United were flying high under Tommy McLean, Ray was unable to hold down a first team slot and later left to join Luton Town. Ray played for a host of different clubs across the UK and Northern Ireland between 2000 and 2006 before settling down with junior side Lochee United, whom he became manager of in 2004, while also holding a coaching post with the Scottish FA. He was appointed manager of Brechin City in 2012 and enjoyed a successful spell before being appointed Raith Rovers manager in the summer of 2015 where he steered the Fife club into the Championship play-offs, narrowly losing out to Hibs in the semi final. On May 12th, 2016, having agreed terms with Raith Rovers, Ray McKinnon was appointed as first team manager on a three year deal, taking charge of the side after the club's final game of the 2015-16. 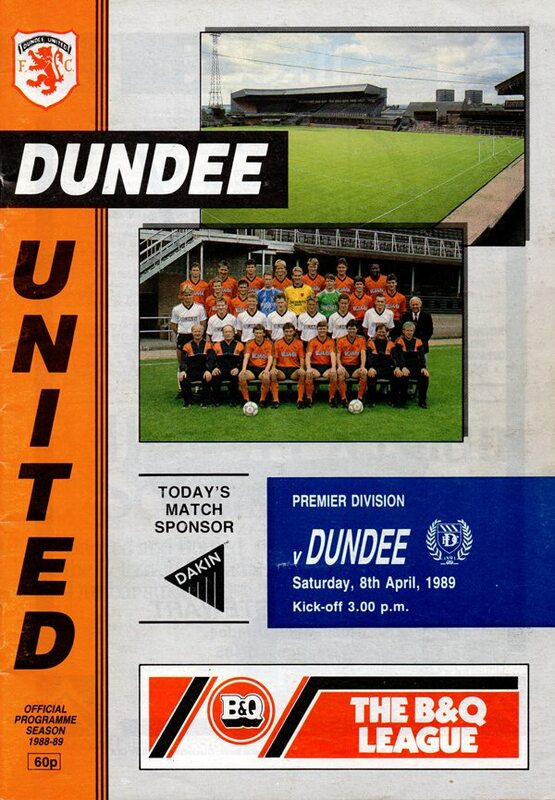 In his first season, Ray took United to the promotion playoffs after being beaten to the Championship title by Hibs. His United side ultimately lost to Hamilton in the playoff final. The only highlight was the winning of the Irn Bru Cup in March 2017. The following season started slowly and ultimately after a poor run of form that saw United in 4th place come October, Ray left the club by mutual consent. Ray was born on this date in Dundee. Win number five maintained our 100% record in derby matches this season, but the fact the result was so close after leading by two goals at the interval was something of a disappointment to everyone at Tannadice. The trip to Pittodrie was undoubtedly our biggest test so far and the opening exchanges were in the usual mould of new firm derbies with both sides testing each other out. However, in the seventeenth minute Stewart McKimmie was sent packing after elbowing Mixu Paatelainen in the face and that incident saw the match burst into life as we tried to take advantage of our numerical superiority. Mixu Paatelainen sent an angled drive just wide of Snelder's left hand post and Connor then blocked one of the Finn's crosses. We ended a fairly even first half as the likelier side and certainly endorsed that view with a bright and breezy start to the second half. It isn't often that both managers agree that the wrong side won, but both Tommy Mclean and Bobby Williamson were in agreement. The home side struggling to avoid the drop had a better start when Maurice Malpas sent a glancing header past his own keeper as he stretched to make contact with Burke's cross.